"In the future your culture will be shaped by machines. Android Writer PN121928 is part of the Android Publishing Program. To replicate a writer's life, his wife has been forcibly removed and he lives in solitude with an allowance for drugs and state prostitutes. Having just had his novel The Eating of Citizen Kane rejected, he now has 14 more attempts to get a story accepted for the programme or he will be deactivated." 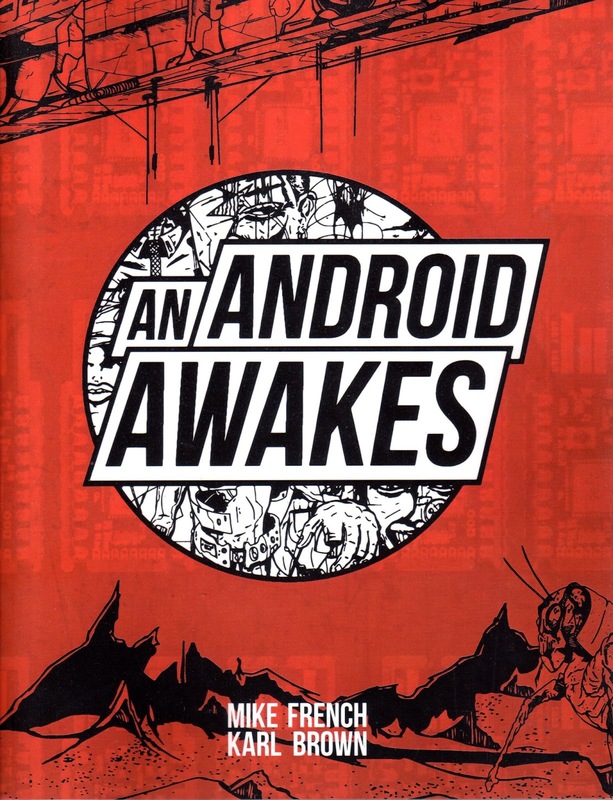 ‘An Android Awakes’ is an illustrated science fiction novel set in a futuristic world of androids, which follows PD121928, an author android, struggling to get his work published. I received a free copy of this book to review through Goodreads Giveaways. PD121928 is an author android with a vivid imagination and a wide range of characters and stories in his head. In this world, androids make up the majority of the population and take on all the creative jobs that humans previously did. 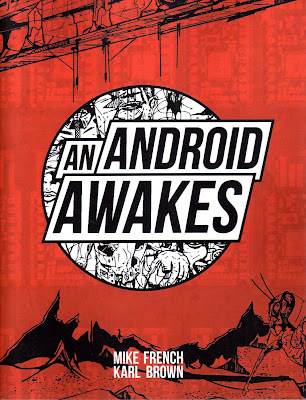 Author androids need to have one of the 42 works of fiction (under 1000 words) that they submit to publishers to be accepted or they will be deactivated. PD121928 has only 14 submissions left. This book comprises his final 14 attempts and the subsequent rejections he gets between. In a way, this book is almost like a collection of sci-fi short stories. All of PD121928’s stories and kind of related, however. They all seem to have similar themes running through them and some elements, like the mockingbird and an angel fish appear in more than one story. I particularly enjoyed the stories; ‘The Amazing Arctic Sinking Man’, ‘2306’, ‘Bookmark’, ‘Angel Etiquette’ and ‘The Great Sea in the Sky’. All the characters in this book's short stories were very fleshed out and the stories themselves seem like they could have gone on longer. I most wanted ‘Bookmark’ to continue as I am an avid reader myself and enjoyed the idea of having a bookmark as a pet, and you have to read to feed it. I enjoyed the writing style and I liked how it kept switching from 1st person to 3rd. I made it easy to distinguish android PD121928’s life from his story submissions. I also really liked the artwork throughout and thought that it really added to the story. I like that it was just black and white line art rather than full colour pieces. The style of the art made the book feel very futuristic and fitted in so well with the stories. I would like to thank the authors, Mike French and Karl Brown, for also sending me 2 postcard art prints of illustrations from the book. I really enjoyed this book and would recommend it to someone who likes the sci-fi genre, but is open to bizarre stories set in a world very unlike our own. I would also recommend going for a paperback copy rather than kindle to fully appreciate the artwork! Follow @USERNAME Visit Elementaread's profile on Pinterest. Like on Facebook for updates!